If you had to pick your favorite food group, which would you choose? If I could spend my life making and testing cheeses I would choose this career above all else. Probably. I would also like to name paint colors – but I’ll save that story for another day. Since I have had more free time this summer, I tried my hand once again at cheese making. Remember when I made Chevre? I thought I would try again with a soft cheese so I set my sights on Ricotta. 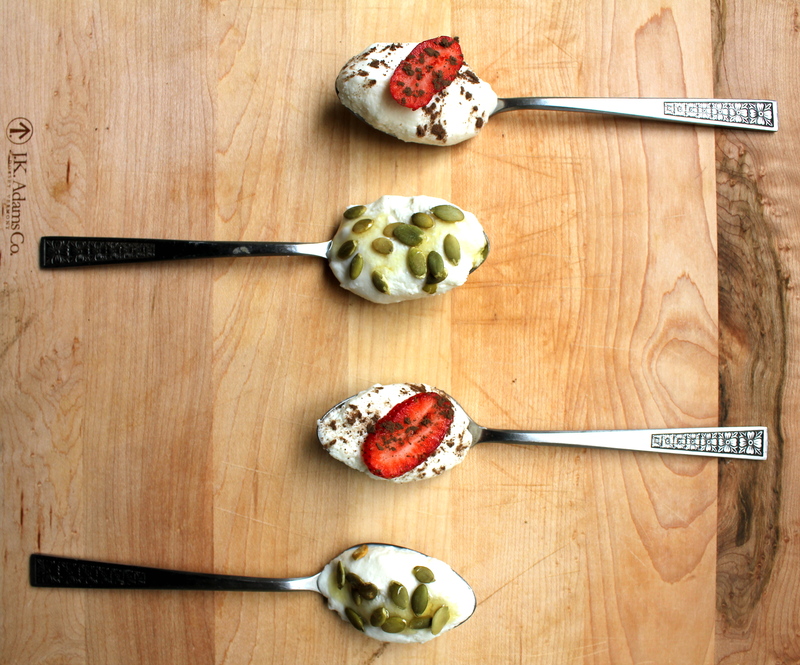 To make: Mound fresh ricotta into a Tablespoon or teaspoon, depending on your preference. Slice strawberry on the diagonal and place on top. Sprinkle dark chocolate cocoa powder on top for that finishing touch! 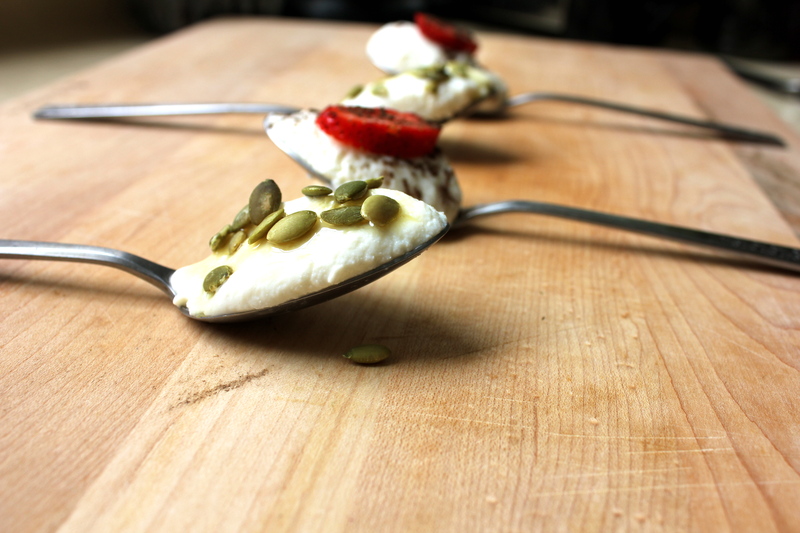 To make: Mound fresh ricotta onto Tablespoon or Teaspoon. Cover top of mound with lightly salted pumpkin seeds. Drizzle with agave nectar or honey – depending on your preference! Why ricotta? Because pretty much every store bought ricotta is really flavorless, grainy, clumpy mush disguised as ricotta. And this is me putting my foot down. 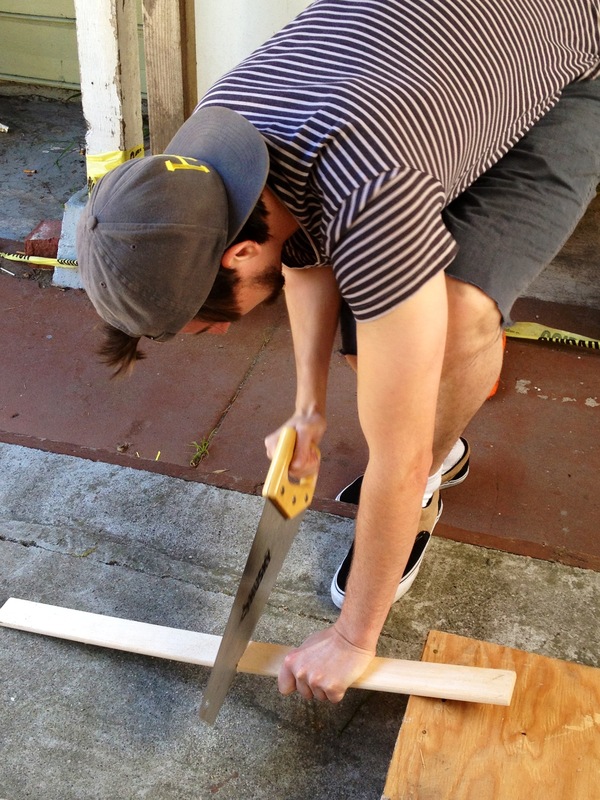 I grabbed my laptop and sat in the backyard with him, all the while complimenting his sawing skills. First off, try to use organic milk when at all possible, most stores offer it these days and organic dairy means no added hormones. That being said, let’s continue. 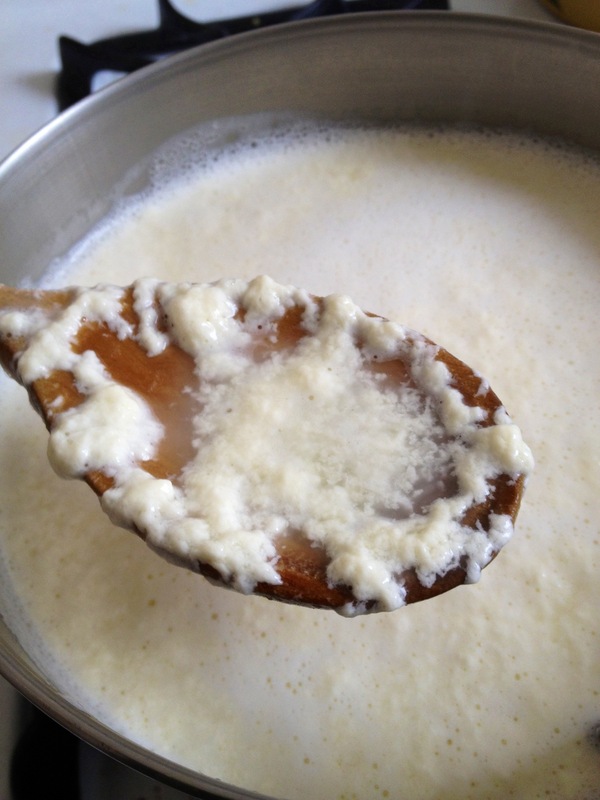 Raw, unpasteurized milk will produce the most curds. And it’s the closest you will get to milk fresh off the farm. This is the most expensive milk, and it is often times hard to come across, but I believe it will give you the best chance at making good cheese because of its pure form. UHT Milk (Ultra High Temperature), milk that has been heated to 275 degrees, should NEVER be used because the pasteurization process has killed every shred of life in the milk. Using this kind of milk will kind you tiny weak curds that don’t stick together. 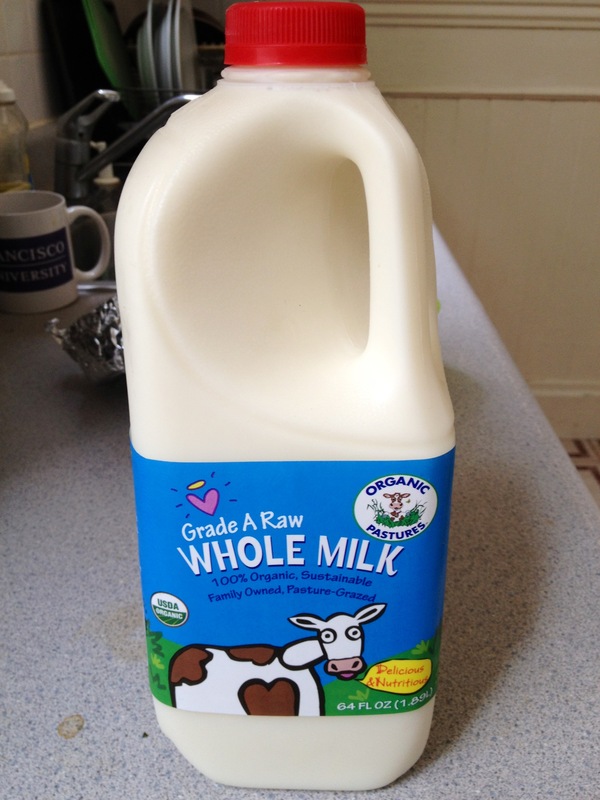 Pasteurized milk is your best option if you’re on a budget, or if you don’t have access to raw milk. Buttermilk is a good option, other than the fact that you need to add a significant amount to make your milk curdle. 1 cup of butter milk to every 4 cups of milk. So what? This just means that your cheese will end up having a distinct sour tangy flavor, which isn’t necessarily a bad thing, unless you are planning to use the ricotta in a sweet application or if you just don’t want your cheese sour. Lemon Juice is one of the most popular choices, and I have used it many times due to the fresh flavor it imparts into the cheese. But there are a few arguments against using it as well. First, because not all lemons were born equal due to growing conditions and the variety of the fruit, their acidity levels can vary greatly creating a guessing game about ratios and leaving you will a potentially inconsistent product. 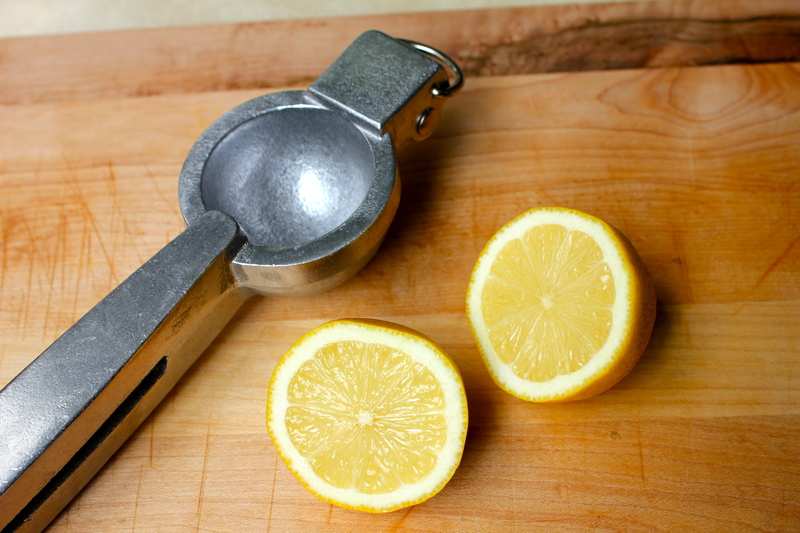 Also, if you end up having to use more lemon juice your cheese will have a strong citrus tang – which is pretty delicious and lends itself to a ricotta that you will want to dress with fresh herbs and eat by the spoonful, but like with the buttermilk, this cheese won’t do your sweet dishes or your ravioli any favors. White Vinegar is my favorite acid to use. It has a consistent acid level so the measurement will be the same every time. You also won’t have to use a significant amount so your ricotta will have an ever so slight tang, but not enough to overpower the gorgeous clean flavor of the milk. Some people swear by a specific temperature of 180, which is all good and fine, but I have discovered that there is virtually no difference between 170-185. I just aim for 180 and hold it right around that temp. 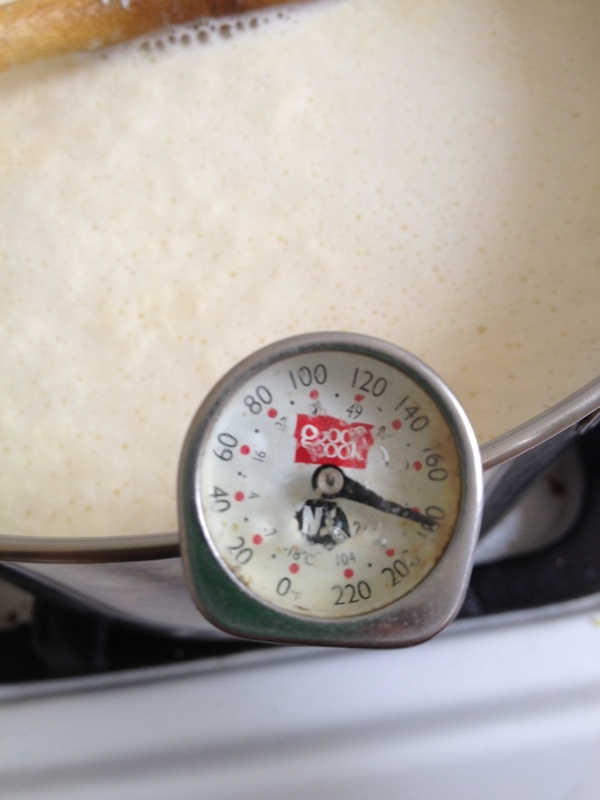 Too much lower than 170 and the curds won’t set correctly, anything higher and you risk scalding the milk – and trust me, nothing is worse than try to clean burned milk from the bottom of a pan. 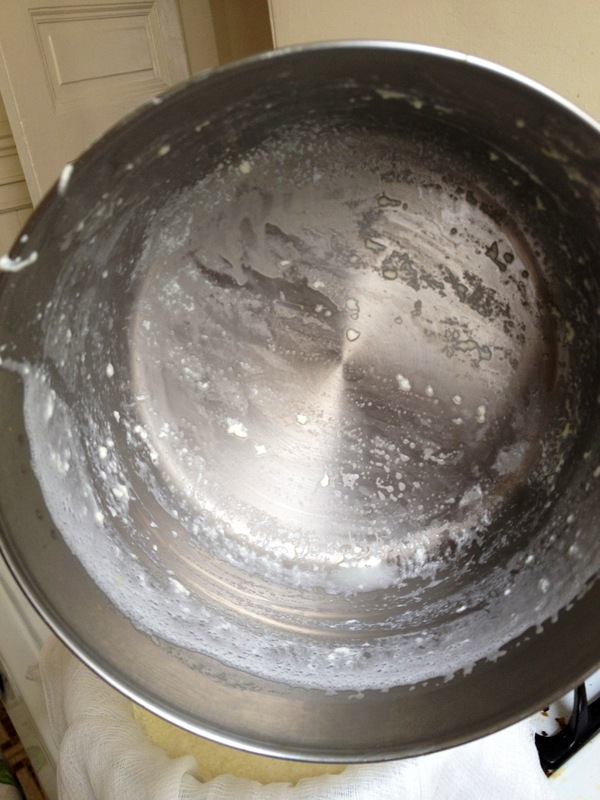 This is what you want your pot to look like, easy clean up means more time to stare at your baby ricotta curds. Ok, now that I have given you all a brief lesson in cheese making, let’s get started! I would say 20 minutes is the ricotta sweet spot, at this time you will have small, tender curds that will spread with ease and won’t be super runny. This is the ricotta to use in things like ravioli, lasagna, or on pizza. 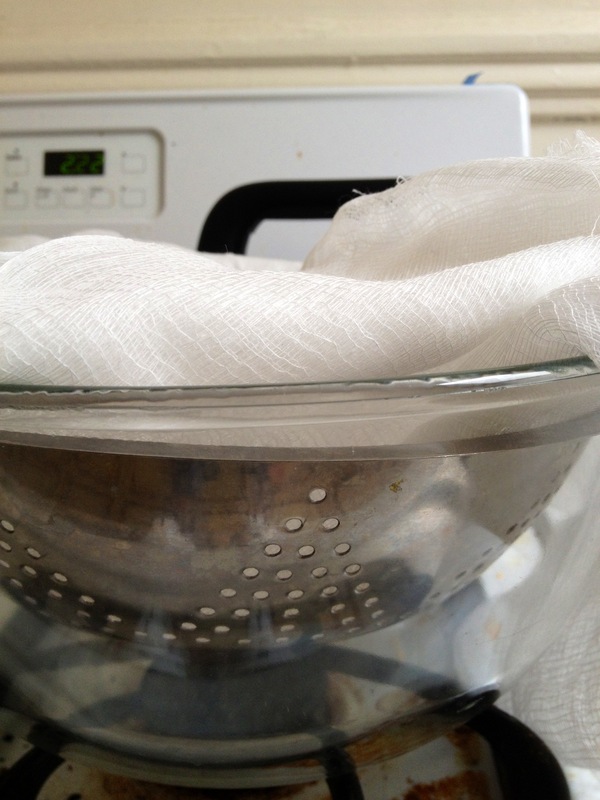 For even softer cheese, only allow to drain for 5-10 minutes. This will give you extremely creamy ricotta that you will probably eat straight from the cheesecloth…and without a spoon. That’s how wonderful it will be. 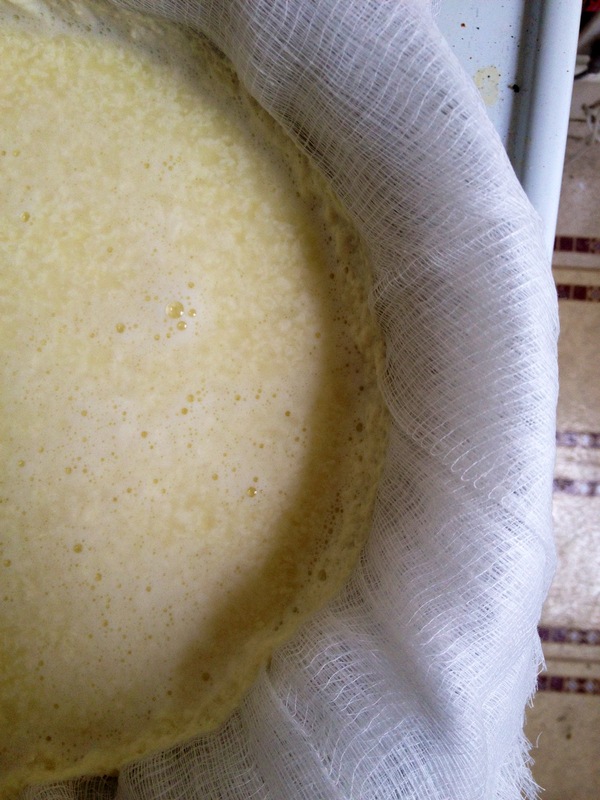 If you want your ricotta to be super firm, let it sit and drain for about an hour. I haven’t ever let my ricotta sit this long, but from what I’ve read this is the best ricotta to use for pastries and gnocci. 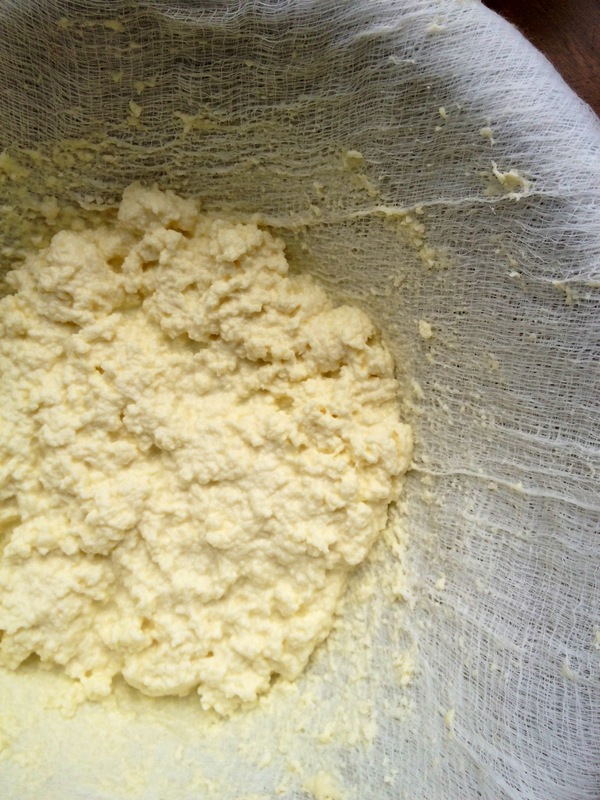 Don’t let it drain for much longer than an hour otherwise you will end up with ricotta that is just too dry. Tip: If you accidentally drain your ricotta too much for your liking, you can use some of the whey that has drained out to rehydrate your cheese. Simply pour it back over and allow to drain for just a minute. It’s not the perfect solution, but it definitely will improve your ricotta more than anything else. You can also save your excess whey, because you will have a ton of it, and add it to your oatmeal for an extra protein boost. I’ve also heard of people mixing it with fresh pressed juice and even with powdered chocolate milk and Tang. I’ve never done any of these things, so if you do, please let me know what you think! 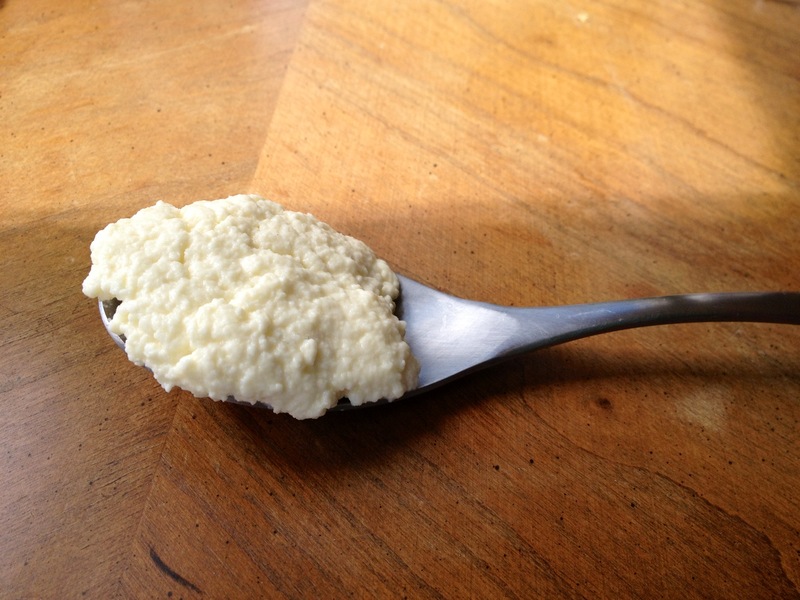 Homemade ricotta will last for about a week in the fridge…but mine has never lasted more than a day. And I suspect yours won’t either. 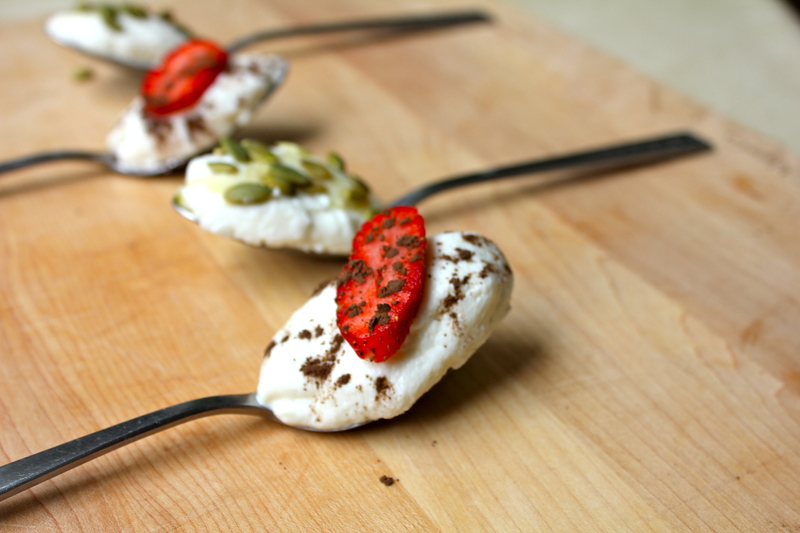 This entry was posted in Uncategorized and tagged agave nectar, cheese, cheesecloth, cocoa powder, cooking, dairy, dessert, food, fresh, fruit, homemade, pumpkin seeds, raw, raw milk, recipe, ricotta, salt, soft cheese, strawberry, sweet spoon bites, vinegar, whole milk by kristinakerley. Bookmark the permalink.